Two bodies were found Tuesday night inside a vehicle submerged in the Otay Lakes reservoir in Chula Vista. 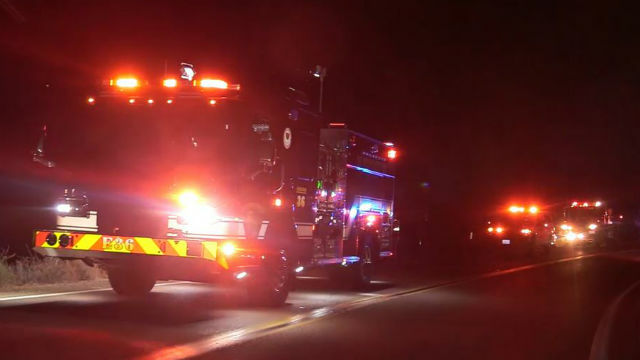 The discovery of the vehicle was reported about 7 p.m. near the 13800 block of Otay Lakes Road, according to Fox5. Chula Vista Police said the California Highway Patrol was handling the investigation. A CHP officer told Fox5 the Chula Vista Police Department has an ongoing investigation for two missing persons but did not know if the incident was connected. It wasn’t immediately clear how long the car had been in the water.